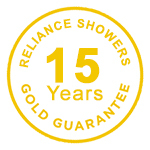 Vivo is NZ’s most affordable tile shower system designed to eliminate leaks, an all-too-common problem. 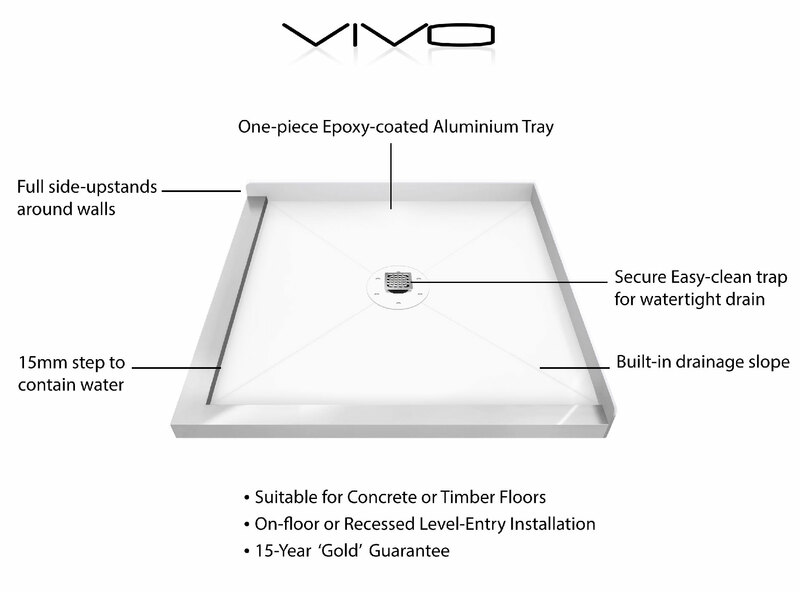 The one-piece, Vivo tileable shower tray is manufactured in NZ from epoxy-coated, marine-grade aluminium, and is tile ready. 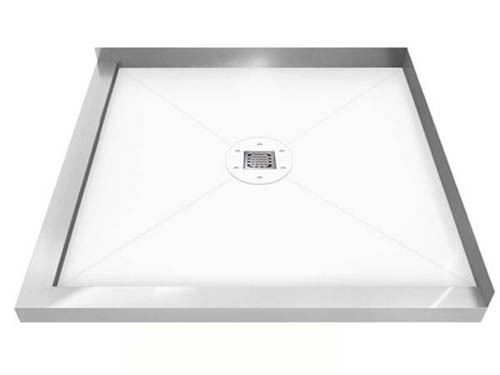 Specially designed with correct drainage gradients and high sides, the Vivo tray provides total watertight security. 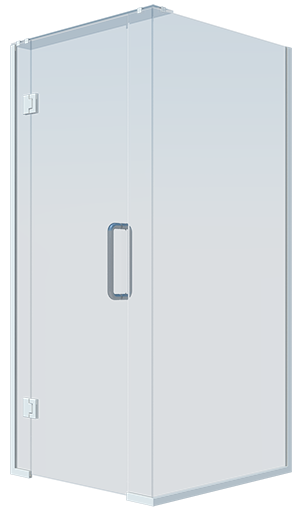 Coupled with a 10mm frameless-glass enclosure and quality chromed brass and stainless-steel hardware, Vivo is the complete package — NZ’s most affordable tile shower with stunning design and superior function. The standard Vivo shower handle set is a ‘Round D’. 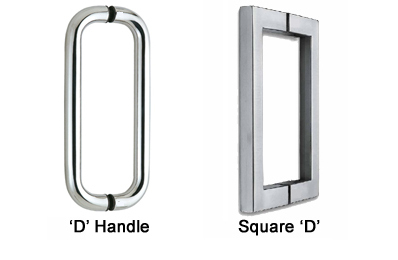 ‘Square D’ handle is available as an optional-extra.